Recently we analysed a number of factors that affect the profitability of aged care facilities and, when it came to the age of the building, discovered there was a pattern to average profitability, writes David Sinclair. Over many years there have been numerous financial surveys that have focused on one or more aspects of building design. With the move to single rooms in high care facilities, for example, there was a view that these new facilities were, in the main, less profitable and harder to manage than the previous model of multi-bed rooms. Indeed, we have reported in the past that, on average, facilities that had a majority of single-bed rooms had a lower profit than facilities with multi-bed rooms. However, the number of people to a room is only one of the many factors affecting the profitability, or manageability, of an aged care facility. 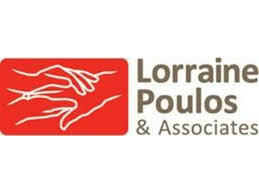 Other factors include the location of the facility, whether or not it caters specifically for residents with dementia, whether it is single or multi-story, the acuity of the residents, and the age of the facility. All these factors, along with a few others, feed into the mix. Ultimately, the overall profitability of an aged care facility will depend on the skills and competency of the facility manager and other management personnel. Recently we conducted a detailed analysis that looked at a number of these factors and how, if at all, they affect the profitability of aged care facilities. The profile of each facility in StewartBrown’s aged care financial performance survey was updated and the results going back to 2010 were re-analysed against this profile data. The results were surprising in some respects, but they also confirmed a number of pre-held views in many other areas. the size of the facility. We did not look at profitability alone but also examined some specific areas of cost in relation to some of these building design aspects. In this article, we discuss the effect of age on the profitability of a facility. Certainly an older building may have characteristics that would be detrimental to profitability, such as increased repair and maintenance costs and lower occupancy. 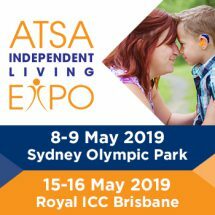 On the other hand, older facilities are typically single storey and the high care facilities often have multi-bed rooms – two characteristics that have been held to be favourable to profitability. We discovered there was a pattern to average profitability depending on the age of the facility. In the early years, the profitability is relatively low. This is during the time of commissioning the building and getting it to full occupancy – the run-in stage, you might say. In the period of between five and 10 years, the facility generally reaches a peak in profitability. In the following years, from 10 to 15 years, there is a period of declining profitability. Profits generally rise again in the period of 15 to 20 years, where a second peak is reached. There then follows a long period of decline, out to around the 30-year mark. After this there is another peak in profitability, from 35 to 40 years, then it appears to be downhill thereafter. There could be a number of things feeding into this pattern, including design factors for facilities of those ages and decisions to refurbish the facilities at certain stages during the life cycle. Unfortunately, we do not have 40 years of data to actually track the profitability of facilities across a longer timeframe. Of interest is the pattern that emerges for some of the other factors that affect profitability in relation to the age of the facility. We found that occupancy levels generally decline from their peak which is at the 15-year mark. There is a slight recovery at 20 to 25 years, possibly due to many facilities undergoing major refurbishments at this point in their life cycle. Repairs and maintenance costs tend to plateau around 20 to 25 years. Interestingly, care costs appear to be lower on average for those facilities that are between 15 and 40-years-old. One of the telling factors is that for the June 2013 survey, 28 per cent of the aged care facilities were built over 30 years ago. This would indicate that there is a need not only to build new beds to meet the needs of the future, but significant capital expenditure will be required to refurbish or replace existing building stock over coming years. The question that arises therefore is where will the funds come from to finance this capital expenditure? Another variable that appears to move with the age of the facility is the level of accommodation bond obtained by providers. 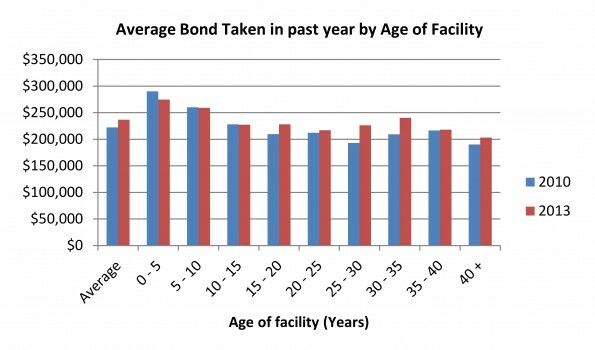 If we look at the average bond taken during the June 2013 financial year, the highest average bonds are for those facilities that are less than five-years-old. The next highest level is for those facilities that are between five and 10-years-old. After that period the average bond level generally declines, or at the very least it is generally less than the average for the first 10 years. These trends are not all that surprising. It would be expected that a new facility with modern amenities would attract a higher bond than an older facility. Again it is important to note there are a number of factors that might be affected by the age of the facility including occupancy, bond levels, care costs, maintenance costs and ultimately profitability. No single factor appears to be a dominating one, but all are feeding into the mix. However, the ultimate determinant of profitability is the ability of the facility manager and other management personnel to manage the facility including the factors such as the age of the facility. The age of the facility will only determine how much easier or difficult it is for the manager to achieve satisfactory levels of profitability. David Sinclair is director of Stewart Brown. For the full report on factors affecting profitability in residential facilities email: benchmark@stewartbrown.com.au.